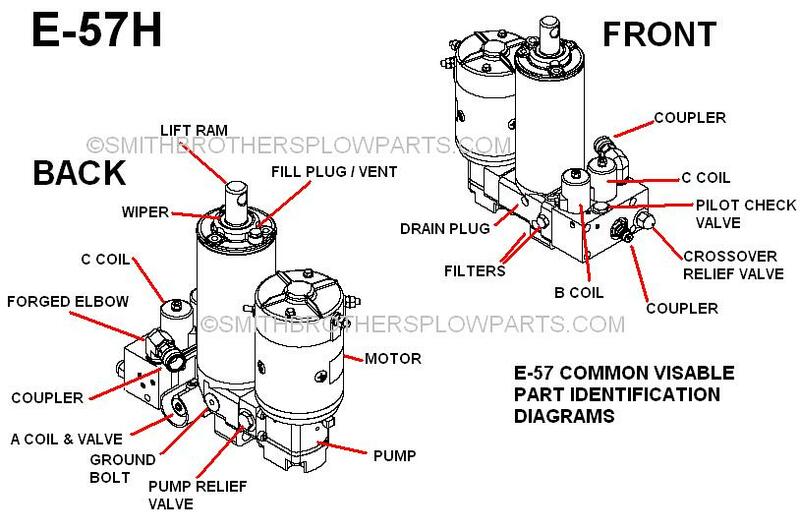 This is a diagram of an E-57H Meyer plow pump. It is meant to help you identify various visible parts on the outside of the E-57 unit. and Meyer E-60 Quick Lift units.